Publisher's Note: Products purchased from Third Party sellers are not guaranteed by the publisher for quality, authenticity, or access to any online entitlements included with the product. 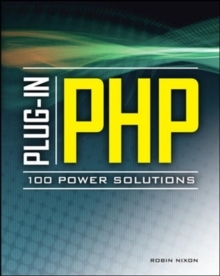 100 power solutions to real-world problemsThis practical guide gives you 100 ready-to-run PHP functions for solving most of the main problems you encounter when building a dynamic website with PHP. 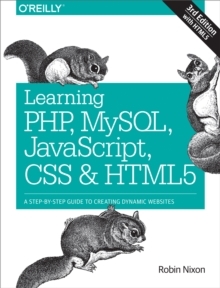 Every plug-in in the book offers a complete and working solution for a result you can achieve right away, using ready-made code you simply drop into your own program. And there's little or no learning curve, because each one is self-contained and thoroughly documented. 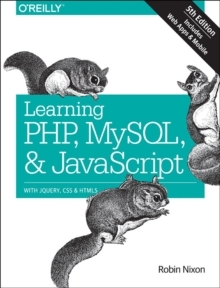 Plug-in PHP is packed with programming tips and suggestions for further adapting the functions to your own needs, and even breaks down all the variables, arrays and functions used by each into at-a-glance tables, accompanied by a screen grab of every function in action. 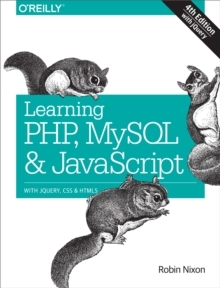 This makes the book extremely easy to use, even for complete beginners to PHP programming. A plug-in for every needNo matter what cookbook-style solutions you're looking for, you'll find the perfect functions in this book, and you can have them up and running in just a couple of minutes. 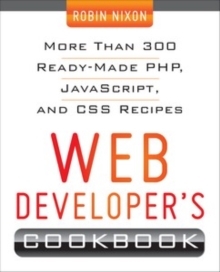 For example, here's the complete list of plug-ins which, while comprehensive, simply doesn't do justice to the depth and breadth of help, information, and practical code provided in this book: Wrap Text; Caps Control; Friendly Text; Strip Whitespace; Word Selector; Count Tail; Text Truncate; Spell Check; Remove Accents; Shorten Text; Upload File; Resize Image; Make Thumbnail; Image Alter; Image Crop; Image Enlarge; Image Display; Image Convert; GIF Text; Image Watermark; Relative to Absolute URL; Get Links from URL; Check Links; Directory List; Query Highlight; Rolling Copyright; Embed YouTube Video; Create List; Hit Counter; Referer Log; Evaluate Expression; Validate Credit Card; Create Captcha; Check Captcha; Validate Text; Validate E-mail; Spam Catch; Send E-mail; BB Code; Pound Code; Check Links; Get Title from URL; Auto Back Links; Create Short URL; Use Short URL; Simple Web Proxy; Page Updated? ; HTML to RSS; RSS to HTML; HTML to Mobile; Users Online; Post to Guestbook; Get Guestbook; Post to Chat; View Chat; Send Tweet; Send Direct Tweet; Get Tweets; Replace Smileys; Replace SMS Talk; Add User to DB; Get User from DB; Verify User in DB; Sanitize String; Create Session; Open Session; Close Session; Secure Session; Manage Cookie; Block User by Cookie; Create Google Chart; Curl Get Contents; Fetch Wiki Page; Fetch Flickr Stream; Get Yahoo! This means they are fast, tried-and-tested functions that have been proven to work in the real world, and they will work for you too.